Beautiful photo! I’d love to see a coffee table book of your work! Me too, Balladeer 🙂 ! Glad you came to visit! Well, I try to sometimes. 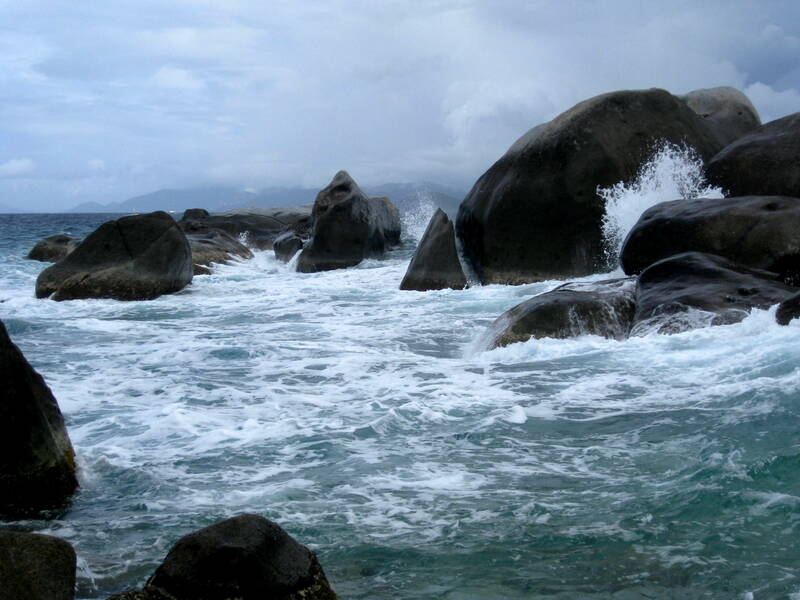 Love the waves crashing onto those rocks!! Just love shots of the sea! I have thousands to share, slp. My gift to you, my friend. You and me both, Erik. They laugh at my sea rock collection, but the sea is such a wonderful sculptor of all things, including rocks. It’s more magic than one would realize, although I don’t think one of these would fit on my dresser. I love it. How could ANYONE laugh at a sea rock collection? I have little bowls of shells and sea rocks everywhere in the Bungalow. Spent time last summer on St Thomas and St John. Will definitely make it to the British side next time. Your photos have convinced me. Thank you again for sharing. Totally different, waywardbound – and I much prefer it to the USVI, even St. John.